The Nga Motu Marine Reserve Society was formed in 1997 to promote the idea of a network of small reserves on the Taranaki coast. The society is made up of locals who are interested in the study and preservation of local coastal and marine areas. To date the society has successfully initiated the establishment of the Tapuae Marine Reserve and continues to survey and study the marine life of the Taranaki coast. The following pages show the projects which we and the local communites have been involved with. We have an email newsletter - do contact us if you would like to be kept informed. 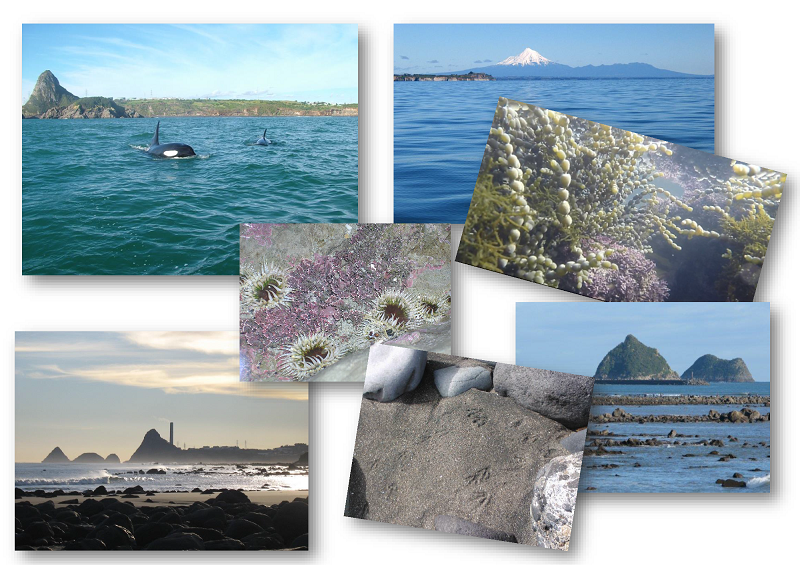 Taranaki has two marine reserves, Parininihi in the north, and Tapuae near New Plymouth. These 'no-take' reserves have the purpose of scientific research. The Sugar Loaf Marine Protected Area (SLIMPA) which protects the seabed, and has specific fishing regulations adjoins Tapaue.